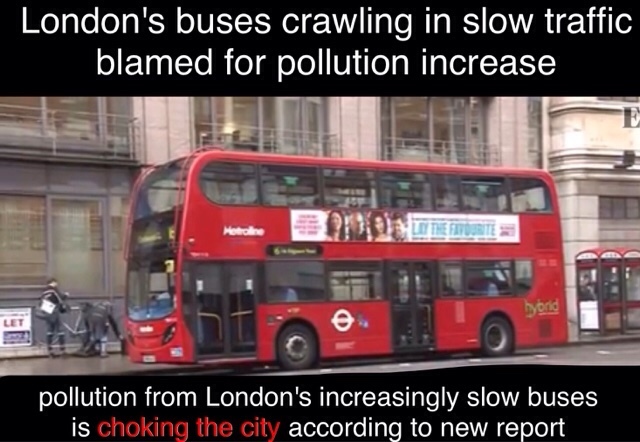 Taxi Leaks: They're Are At It Again : Will Khan And TfL Use Buses To Create Pollution In The Suburbs? Who wrote this article Jim? I (Jim Thomas) just sat in front of my TV and wrote the main bit of the article using direct quotes from Tony Frew’s YouTube interview. The second half was written by Martin Hosick, the editor of MayorWatch the Top London Blog. Unfortunately Mr Davis is not the only one with ideas about the truth in Khan’s Stats the real evidence is there for anyone to check. Taxi Leaks has had hundreds of people wanting to submit article on this issue most with identical reasoning. I was speaking to somebody the other day about pollution & the possible causes of it in this country. The discussion revolved around, buses, cars, lorries, planes, taxis, trains, etc, etc. It was a fascinating discussion but the the other person then said “ you know what, I think, that by far & away, one of the greatest contributors to it must be buses”. I asked what the reason was for this assumption? She replied; “because, I live & work in Bromley. 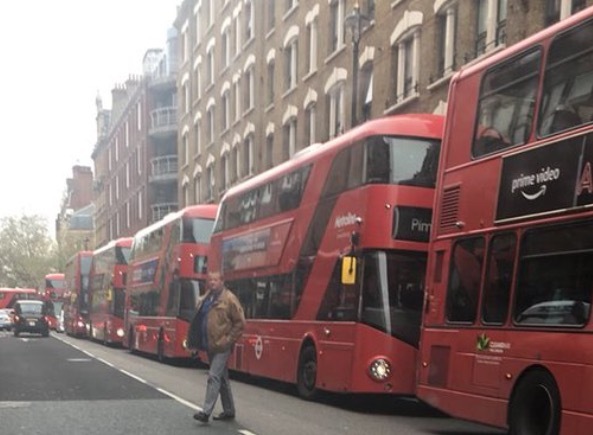 And at the moment approximately 99% of buses are excluded from the lower high st, because of roadworks & there are no buses planned to return until a couple of months”. I asked what this has meant & she said that everyone around is amazed at how quiet, jam free & clean the air is now. She also said the local taxis were still working there but were not causing any problems whatsoever. Therefore, it’d be interesting to discover the pollution levels at the moment & compare them to before or after the buses return. And if she’s right, so much for taxis being the main contributor to pollution. She also said that many residents & workers cannot understand why the buses are not confined to stopping further away as on numerous occasions it takes residents & workers forever to exit, due to buses. Although, at present it takes at the most a couple of minutes. So much for delays caused by other road users then - they should do an eco study down there but maybe that would result in something they wouldn’t like!!! Every bus route alteration will require a consultation process, Talk about TFL jobs for the boys eh?